giving the free service to the tourist in Zhejiang province of the hotel. He failed several times in his life, but became one of the most successful men of the world. 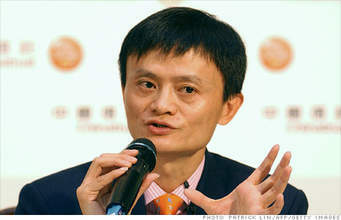 Ma is one of the richest men in the world and the richest man in the China, is one of the most influential entrepreneurs. Many people believe that success comes either from the richest family background or the strong political power. He had neither of them. He embraced several failures in life and he was the one who didn’t have the knowledge of technology became one of the richest men which people never believed before. He was rejected to register the college two times and got admitted only on the third years. After his graduation from the University, he applied for the 30 jobs but rejected. He rejected from KFC jobs, police jobs and much more. He accepted that rejection and we all should get used to rejection in life. 2. Keep your dream alive. Even the various circumstances may come in the way of our journey, we have to keep your dream alive. Have a faith in you and yourself and keep on going. You will reach one day. Ignore the little man mean the people who don’t understand your idea. Don't keep on hanging with them who is worthless then ignore them and move forward yourself. Many people in the world have made many beautiful things in the world. They have become the richest, most popular because of what they have done to the people or have brought the revolution in many areas. Get inspired by them and keep on learning everyday’s life. Regardless of many things in life, we have to stay focus on our dream and passion that you want to do and want to bring some changes in life. Don’t complain your fate or luck rather look what opportunities you can grab from the complaint you may have faced every day. 8. Have passion in life. The life without passion is worthless, take a passion, whatever work you have been doing. Passion is an important entity in life which supports everyone in life to be on the path of success.